Product prices and availability are accurate as of 2019-04-20 02:53:13 CDT and are subject to change. Any price and availability information displayed on http://www.amazon.ca/ at the time of purchase will apply to the purchase of this product. NOTE: The 8 GB MicroSD card may appear as 1 GB when inserted into a PC as it is pre-partitioned. The remaining space can be expanded as desired. 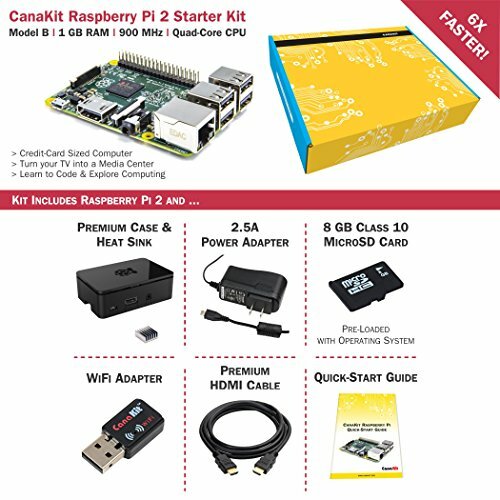 The CanaKit Raspberry Pi Starter Kit is covered by CanaKit's 1-Year Manufacturer Warranty offering hassle-free replacements. An exclusive Starter Kit from CanaKit that includes the the Raspberry Pi 2 Model B (Version 1.2) and everything you need to get up and running within minutes in the exciting world of Raspberry Pi! 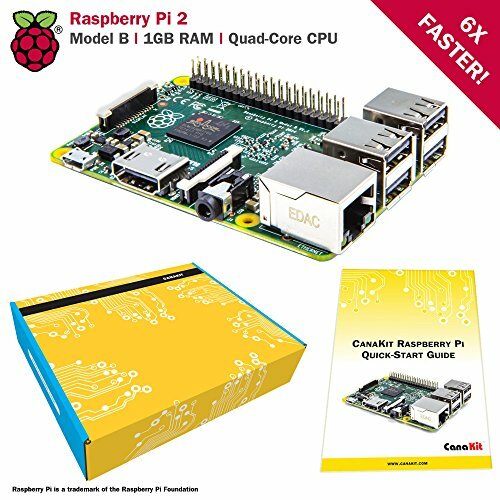 This Raspberry Pi 2 Kit includes the CanaKit WiFi Dongle which has been tested for reliable operation on the Raspberry Pi 2 and supports Access Point Mode allowing it to function as a WiFi hotspot. Also included in this Raspberry Pi 2 Starter Kit is a high quality Raspberry Pi 2 case as well as the recommended Raspberry Pi 8 GB Class 10 MicroSD Card pre-loaded with NOOBS. Just Plug and Play! When you boot up your Raspberry Pi with NOOBS for the first time, you'll see a menu that allows you to install Raspian. Other operating systems and popular Media Center platforms can also be easily installed from the NOOBS menu with a wired internet connection. 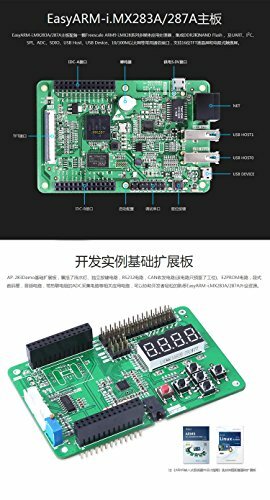 The kit also includes a CanaKit 2.5A Micro USB power supply (UL Listed) specially designed and tested for the Raspberry Pi 2. This power supply incorporates a noise filter to provide the highest stability.